A new EC regulation requires some tyres to have performance labels, with the aim of encouraging people to purchase tyres with superior environmental and safety performance, and also encourage tyre manufacturers to produce tyres whose performance exceeds the minimum requirements specified in EU Regulations. This regulation requires that tyres manufactured from 1st July 2012 for cars, light commercial vehicles and heavy trucks and placed on sale from 1st November 2012, carry a label showing the tyre’s wet grip, fuel efficiency and noise performance. 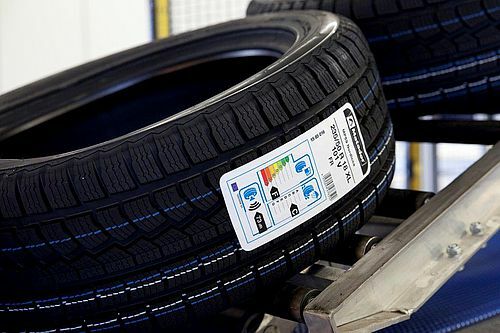 The tyre labels are similar to the labelling already in use for household goods such as washing machines and dishwashers.In order to label the tyres automatically, Continental Reifen Deutschland GmbH and Weber have developed a Tyre Labelling System the Legi-Air 5300 Tyre Labeller . Due to the surface of the Tyre, Weber designed a particularly agressive adhesive to ensure 100% adhesion to the Tyre surface post automatic application. Also due to the harsh environment, the Label is constructed from a particularly durable material designed to withstand the impact of storage and distribution of Tyres from manufacturer to distributor.